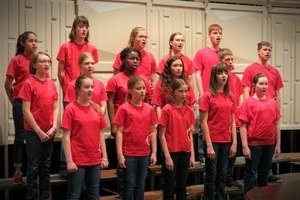 Crescendo Community Chorus began hosting the Dilworth Choral Festival in the spring of 2014. The festival is named for its original conductor and benefactor, Rollo Dilworth, who generously offered to help support the event in future years. 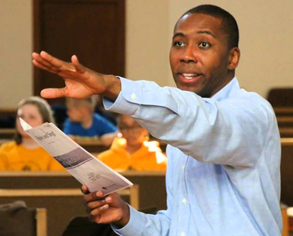 Rollo Dilworth has published over 150 choral compositions and arrangements and authored 3 books of choral warm-up exercises for youth. He has also conducted 43 all-state choirs at all age levels, 6 regional honor choirs, 4 national honor choirs, and international choral festivals and master classes in Australia, Canada, Taiwan, Ireland, China and invitations to Singapore, Austria, and France as well. 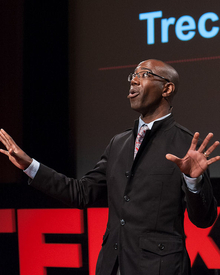 Crescendo Community Chorus was extremely privileged and thankful to have the opportunity to work with Rollo Dilworth the first year of the festival in 2014 and felt the importance of sharing the expertise of amazing conductors with other youth choirs in the Spokane area. 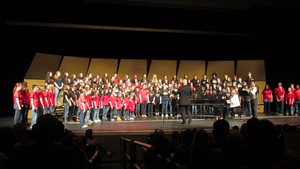 Participating choirs have included the advanced choirs of Sacajawea, Salk, Garry, Glover and the Mead School District Elementary Choir. 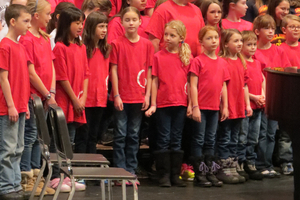 Spokane Public Schools has donated the cost of an accompanist as well as a stage crew and location for the festival. Each year, the event closes with a performance for the community. 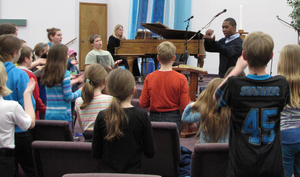 Tom Shelton was the festival's guest conductor in 2015. Shelton is president-elect of the American Choral Directors Association, Assistant Professor of sacred music at Westminster Choir College, Director of Children's and Youth Choirs at Princeton United Methodist Church, and conducts numerous choral festivals around the country and in Hong Kong. The Spokesman Review published an article in 2015 about the roots and soul of how the Dilworth Choral Festival began called "Festival Shares Music Celebrates Generosity" What a special privilege it has been for Crescendo singers to work with such amazing people! 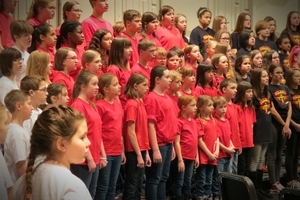 In March of 2016, the Dilworth Choral Festival welcomed guest conductor, Janeal Krehbiel, founder and director of the Lawrence Children's Choir. In July of 1999, Ms. Krehbiel was recognized for her outstanding contribution to choral music. 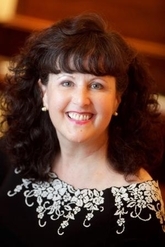 Besides teaching vocal music in elementary, middle, and high school, she is also a clinician and festival director throughout the United States, has held seminars at colleges and universities, and published many articles about choral music for children and youth. Under her direction and leadership, the Lawrence Children's Choir has been the featured choir for the World's Largest Concert on PBS. Crescendo enjoyed her short visit to Spokane and was thankful for all she had to offer our community! and being hosted by Sharon Smith and her Crescendo Chorus was a high point of my conducting year. but all the "troubles" melted when I saw those eager faces and heard those magical sounds. that will thrive for many years because of the presence of that organization. In March of 2017, Crescendo was grateful to have Martha Shaw as our guest director for the Dilworth Choral Festival. 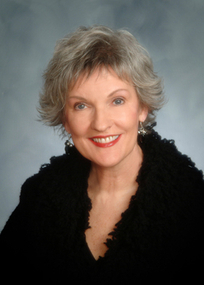 She is the founding director of the Spivey Hall Children's Choir & Tour Program in Atlanta. 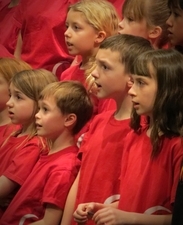 Under her direction, the Choir often sings on NPR and has been a featured performance at many state, regional, and national conventions, including conferences of the American Choral Directors Association, Georgia Music Educators Association, the Orff-Schulwerk Association, and Chorus America. The Choir has performed all over the country and the world, including tours in Sweden, Austria, Scotland, China, Canada, England, and Spain. Dr. Shaw has also received numerous invitations as a clinician and guest conductor throughout the United States, Canada, and Korea. Read more of her biography here. 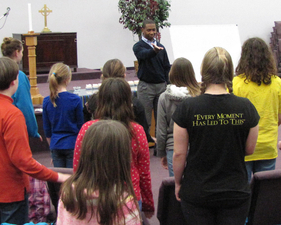 Crescendo was excited to welcome Anthony Trecek-King, President and Artistic Director of the Boston Children's Chorus, to Spokane for our fifth year of the Dilworth Choral Festival in March of 2018. It was truly an honor, and the kids had an amazing time working with him. "Under his direction the chorus has earned a reputation as an ensemble of high distinction and in 2013 received the National Arts and Humanities Youth Program award from the White House...He has collaborated on performances with Keith Lockhart, John Williams, Simon Halsey, Yo Yo Ma and Melinda Doolittle. 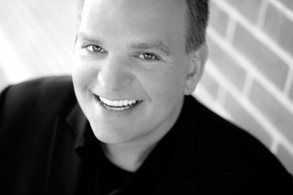 Recently he directed the American Choral Directors Association National Junior High/Middle School Honor Choir in Dallas, Texas, and has conducted many All State and Festival choirs." 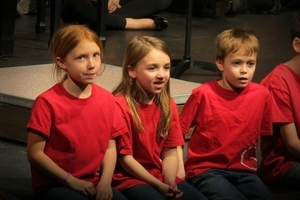 To read more about Trecek-King's accomplishments, visit the Boston Children's Chorus website. 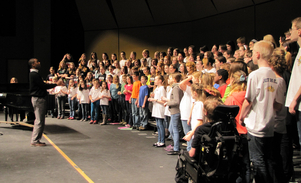 Crescendo hosted the festival at Lewis & Clark High School with participating choirs from Sacajawea, Chase, and Mountainside Middle Schools. 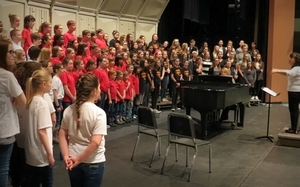 The event was made possible in part by a grant from the Washington American Choral Directors Association and support from Spokane School District 81.